that you should follow His steps” (I Peter 2:21). If we were to ask a Christian, “Have you accepted the work of the Cross?” Many of them would say yes. If you ask them what the work of the Cross is, they would respond by saying that the work of the Cross is the crucifixion of the Lord Jesus for the sins of the world. While this is true enough, it can be misleading. 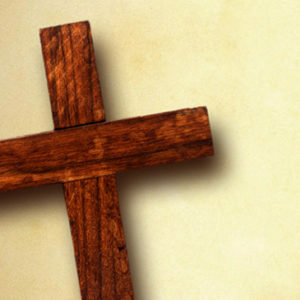 A better question to ask is, “Have you accepted the two-fold work of the Cross?” Try this out on a few Christians and you will probably get a puzzled reply along the lines of, “What is the two-fold work of the Cross?” That is because most people are only familiar with one side of the Cross, not both sides. By identifying with His sacrificial death, He becomes our Substitute. We enter into His finished work. We are made one with Him there on the Cross. Thank God we do not have to pay this debt, for it has been paid for us. We do not have to go to the Cross and be crucified for our sins. I would suggest that almost every Christian is familiar with this aspect of the Cross. It is the foundation of evangelicalism, the basis of millions of sermons to millions of believers. It is the truth, and we thank God for the truth whenever it is proclaimed. There is another side to this Cross, another dimension of the same truth, which is not as well-known, and is hardly preached at all. As a result, many believers are content to embrace the “Sinner’s Cross”; that is, they have confessed Jesus as Savior, and they understand and accept Him as their Substitute. It is certainly true that Jesus is our Substitute, and that He died on the Cross for us. But as we have said, there is a two-fold work of the Cross. Peter alludes to this two-fold work when he writes, “Christ also suffered for us, leaving us an example, that you should follow His steps.” Christ suffered FOR us; that is the first aspect. But He left us an EXAMPLE; that is the second aspect. So the work of the Cross is two-fold. First, Jesus is our Substitute. Secondly, He is our Example. In the first case, He took up the Cross. In the second case, I take up the Cross. The first work of the Cross is for the Sinner; the second work of the Cross is for the Disciple. Jesus said that the way to Life is through a narrow Gate and a difficult Path. The Gate is only the beginning of the journey; it is not the destination. So we must have both the Gate and the Path. One is not complete without the other. Once we are through the Gate, there is a Path for us to walk. The Gate makes it possible for us to walk the Path, but the Gate is incomplete without the Path. 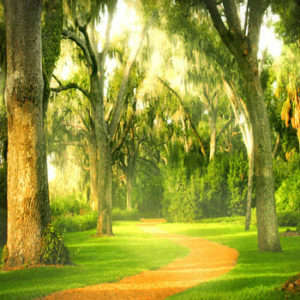 The Life is at the end of the Path, not at the beginning. This corresponds to the two-fold work of the Cross. The “Sinner’s Cross” is the Gate. Because Jesus is my Substitute, I can now walk the Path. The “Disciple’s Cross” is the Path. Now I am following His example. Can you see the difference? Jesus says the way to Life is through a Narrow Gate and a Difficult Path. The Narrow Gate is Christ. It is Narrow because He is the Only Way. But why is the Path so difficult? Partly because it is much easier, much more appealing, to accept Jesus as a Substitute than to accept Him as an Example. Stated differently, it is much more appealing to accept Jesus as Savior than to accept Him as Lord. With a simple prayer I can acknowledge Him as my Substitute and Savior. But to make Him my Example and my Lord, to actually walk in His footsteps, is not so appealing. Why? In the first case I simply embrace the “Sinner’s Cross” and everything is done for me. But in the second case I must take up the “Disciple’s Cross” and actually follow in the steps of the Master. It only takes a moment to pass through the Gate, but the Path takes a lifetime of walking. Peter wrote of this two-fold work of the Cross, but we see in Matthew 16 that he did not always have this understanding. In Matthew 16 we see Jesus as our Substitute and our Example all in one chapter. First there is Jesus as the Substitute. He begins to show His disciples that He must go to Jerusalem, suffer many things, be killed, and raised the third day. For His sins? No, for our sins. So in this He is our Substitute. Peter, taking offense over this, pulls Jesus aside and begins to rebuke Him. Imagine! Peter is rebuking the Lord Jesus over this issue of the Cross. It is, indeed, a difficult thing to comprehend. But Jesus turns and rebukes Peter. Yes, it will be so. I will go to Jerusalem and die for the sins of the world. I must complete My substitutionary work. “Then Jesus said to His disciples, ‘If anyone desires to come after Me, let him deny himself, and take up his cross, and follow Me. For whoever desires to save his life will lose it, but whoever loses his life for My sake will find it'” (Matthew 16:24,25). Peter objected to the death of the Lord Jesus and wanted to prevent His crucifixion. The Lord Jesus responded that not only must the Master be crucified, but anyone who desired to follow after the Master would, of necessity, have to take up their Cross as well. Peter eventually learned this lesson, and it is time we learned it as well. Jesus is both my Substitute and my Example. Jesus, is both my Savior and my Lord. Jesus is both the Narrow Gate and the Difficult Path. If there is any doubt as to the reason for a lack of power, a lack of joy, a lack of faithfulness, a lack of Spirit-and-Truth today, we need only examine a person’s ultimate attitude towards the Cross. Is the Cross, to them, something that Jesus saved them FROM, or something that Jesus saved them FOR? The fruit, or the lack thereof, tells the whole story. For there never will be, and there never can be, any fruitfulness apart from embracing the two-fold work of the Cross. The question will of course arise: can Jesus be Savior, but not be Lord? Can I accept the salvation but not the discipleship? Can I enter the Gate but not walk the Path? And the underlying concern is really this: can I pray the Sinner’s Prayer, live any way I please, and still go to heaven when I die? The question itself is very revealing in the ones who ask it. Consider that it takes two beams to make a Cross; one beam is not enough. If we accept only half of the two-fold work of the Cross then we have not truly embraced the Cross. If we continue to preach an easy Gospel and bring sinners to an easy Jesus by having them pray an easy prayer then we are guilty of propagating another gospel, a false gospel, a Gate without a Path. The Rich Young Ruler came to Jesus with the exact same concern: what must I do to inherit eternal life? His primary concern was going to heaven when he died. For many Christians that is the ultimate objective and the motivation behind everything they do. In actuality, Jesus said comparatively little about “going to heaven when you die.” But He had quite a bit to say about being obedient to the will of God and producing fruit while you’re still living here on earth. “Then Jesus, looking at him, loved him, and said to him, ‘One thing you lack: Go your way, sell whatever you have and give to the poor, and you will have treasure in heaven; and come, take up the cross, and follow Me.’ But he was sad at this word, and went away sorrowful, for he had great possessions. Then Jesus looked around and said to His disciples, “How hard it is for those who have riches to enter the kingdom of God! '” (Mark 10:21-23). Not “how EASY for them to enter the Kingdom of God”, but “how HARD it is”. The two-fold work of the Cross is a hard saying for rich and for poor alike. Many turn away sad and sorrowful at the thought of taking up the Cross as a disciple. For that reason, only the first half of the two-fold work of the Cross is preached. I suspect that the Rich Young Ruler would have eagerly accepted Jesus as his Substitute – because the subtle implication is that since Jesus died on the Cross, I won’t have to die! But like all the other suggestions of the adversary, this too is only a partial truth. For the whole truth is that the work of the Cross is two-fold, and we can embrace both, or neither, but we cannot keep one and discard the other. You may be concerned that if we make salvation contingent on discipleship then fewer people would get saved. That’s exactly the point. This is precisely what Jesus meant when He said, “Few find it” (Matthew 7:14b). So what are we do to? Should we continue to give false comfort to those who are unwilling to take up their Cross, deny Self, and follow Jesus? By no means. Instead, let us endeavor to show others, by example, that the only way to Life is through Death; the only way to reign with Him is to suffer with Him; not those who hear, but those who hear and put into practice, are His true disciples. May the Lord Jesus Himself bear witness of these things, that they are true. Amen. “Not “how EASY for them to enter the Kingdom of God”, but “how HARD it is”. The two-fold work of the Cross is a hard saying for rich and for poor alike.”- I was thinking that for the rich they have much to lose that is why it is “hard” for them and to those who are poor and striving to be rich then that would be “hard” for them. But I am not sure if those who are poor are hard to for them for sometimes when a person who had really nothing to lose, they might embrace the two-fold Cross. You will notice that People always seek God when they are in trouble, most of them do not seek Him when they are not in trouble. – Just a thought. The way this makes sense to me now, as I take the discipleship course, is looking at the ‘richness’ in terms of self, rather than only in terms of material wealth. Simon Peter answered, “you are the Christ, the Son of the living God”. The Lord does bear witness to this writing, because you are obedient to what you hear. This writing is Spirt filled. Thank you. That is the path. Letting the Spirit lead us and guide us and being fully surrendered to Him. Jesus did not come to Earth to make bad men good. He came to make dead men ALIVE. As we are dead (spiritually) in our sins, His Spirit will set us free and bring us to life. But we must have the Revelation. In mentioning Peter it is important to note that even he (even after walking with our Lord for 3 years) did not receive that revelation until Jesus ask him the third time “Do you love me?” When the Spirit was then yielded too and the flesh died, that would allow Peter to take up his cross and even allow him to physically die on a cross upside down. A death that was brutal but not as hard as His first death. What he found was the Spirit of His Lord and Savior living in him. This would allow him to walk his remaining days in the physical as a son of God as was Jesus (in His example to us). This could be the third work of the cross (and what I believe our Father and Heaven is releasing into the Earth today). That we are to walk this Earth as Jesus did and to manifest His Glory everywhere we are and in everything we do. This is the gospel(to live as Jesus taught us by revelation). To live as sons and daughters of the Living God and not as orphans. The only way to do this is complete surrender and allow the Spirit to guide. It must be done. I love you and your ministry. You do walk a narrow path but it is a path that spans the universe. Thank you Chip. The article is not suggesting that there are two requirements to be saved. The article suggests that God has something in mind for us that goes beyond “mere” salvation, and that salvation is only the first step towards a larger, higher goal. Thank you for your feedback. Dear Brother chip.. Thank you for this wonderful insight.First of all I thank God that He Created you and me, and other like minded brothers to have spiritual fellowship with one another. I am all the more joyful to read this article. As our Master said you cannot serve two masters, as compared to the rich young ruler. The one who put the hand on the plow and looks back is not fit for the Kingdom of God.Many will know that Jesus died on the Cross for the Sins of the World…But my Prayer is Lord help me to carry my Cross daily and follow you…!!! love you bro. So clearly stated. Clearly I see now, what before I was blinded to. I know now what was and will be, I understand. Thank you Jesus. I don’t see anywhere where Jesus said to ‘believe in Him.’ The demons cried out saying who He was. But Jesus told them to be quiet. He called people to follow Him – be His disciples. When I asked God what to teach, He pounded into my heart for a day and a half “teaching them to obey all I commanded you.” I thought, What a novel idea – to teach what Jesus told His church to teach. In baptism, we die. It is no longer us who live, but Christ who lives in us by faith. We have to die daily in order to let Jesus live through us. We are His Body. We are the Jesus that the world should see. Thank you for being part of bringing the Body of Christ back to the true meaning of Christianity. Want to comment but just crying. Thank you Father. Your prayer at end that Jesus would bear witness of these things that they are true He is answering. thank you Chip. I thank the Lord that He has given you such a clear way of writing, and for opening my eyes to see both sides of the cross. Seeing death, burial, and resurrection in the circumstances of my life, lets me know that though things at times look bleak and out of control, God has a resurrection coming! There is so much more to the Christian life than just getting through the gate! The two fold work of the Cross. Simply, brilliantly revealing – out of the darkness into His marvelous light. How does one grow with half truths? Like planting a seed in dry desert sand. Again, many thanks. Praise the Lord. I recall reading about the rich young ruler and what really gave me hope was when his disciples asked “who then can be saved?” Jesus answered and said “with man it is impossible but with God all things are possible”. I get a six-figure yearly income from the VA and Social Security due to an auto accident that left me paralyzed from chest down while I was stationed in Germany, US Arm 37 yrs ago. I’ve tried looking for a smaller place to live so I could share more of my income with the poor but no door was opened. Two weeks ago God had great mercy on me and filled me with His Spirit and He exchanged my carnal and soulish life with His Life. By a revelation last night I now KNOW that the Jesus in the Scriptures is the Spirt of Christ in me. All that said because now I am free to follow Christ wherever he leads. And I thank God for you Chip for all through your teachings…seeds and corrections that lead to yet another growing Christ-centered man! Please pray for a smaller place for me to move into. I need to thank the Lord for His Spirit in you and your submission to Him. The way you way connect truth in its simplicity and practical form still amazes me. You allow truth interpret truth. I have never heard this truth communicated very simple to me before, and it is really going to produce fruit in me in Jesus name. Thanks Chip, you are blessing and a gift to the body of Christ. This truth is a full diagnosis of my spiritual state, it is so accurate and precise. This is so profound! I am grateful i started taking this course, i am not drifting and wondering anymore. I know the problem and it would be fixed. I shall bear fruit up to 100% and much more. Amen, Amen, and Amen. ..DEATH (TO SELF) WORKS IN US THAT LIFE MAY WORK IN OTHERS. I thank God for this article. 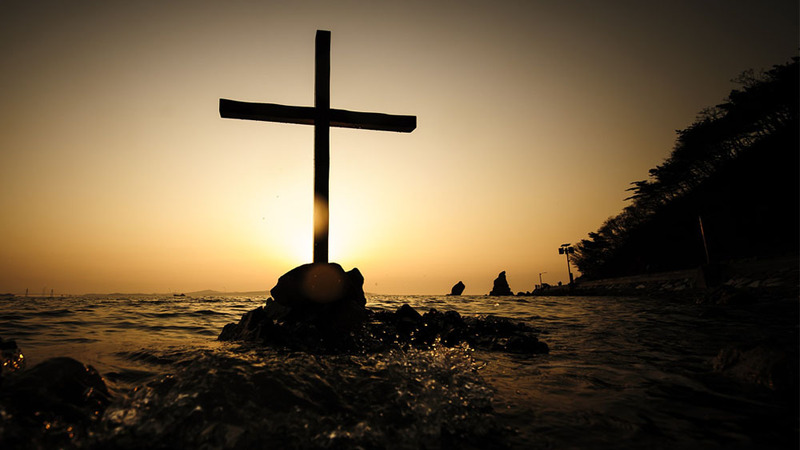 Many Christians think that cross way is just to believe in Jesus as the Lord and God. Bout in truly, the cross of Jesus have many meaning. For me, I think that our cross way is our dayly doing such as our thinking, eating, seeing and so other things. Many Christians like to heard: may God bless your job, house, fight your enemis and so on, the injoyed more and say aameeen with strength.It’s come to asked myself: who is my enemies? it’s myself! we are our own enemies because when we keep angry in the heart, we speak badly, we don’t obéi one another and so on, aren’t we our own enemies? Paul by the Philippians book chapter 2 told to us to have a Christ sentiment. For me, the cross way is to do what could exalt the name of Lord even if it could affect our live because Jesus say who lost his live for him would refund it.